Let's be honest, though, you're still gonna be lost like 75% of the time. 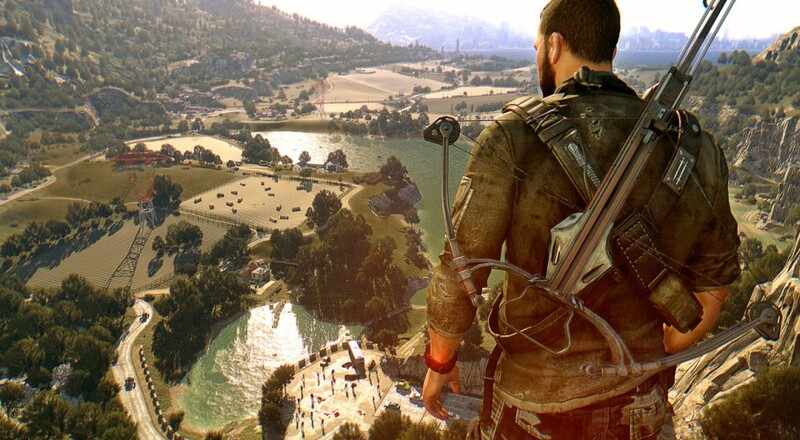 Coming in at twice the geographic size of the base game, Dying Light's next DLC, "The Following", can seem a little overwhelming to any would-be zombie exterminators. Trust me, I know the feeling. You start to think back to all the places you didn't see when you first played the game last year, then you consider all the DLC's extra content, the new daily quest system, and all those zombie heads just ripe for the kicking. Next thing you know, you've quit your job, moved to Ecuador, changed your name to Ernesto, and purchased enough tortillas and rice to tide you over for the next 6 months, which should be just enough time to fully explore everything. Luckily for us, Techland has provided us with a brief trailer showing off a few highlighted locations, which is honestly the least they could do, considering the amount of amateur cartography work they're about to dump on us. That graveyard's looking pretty spooky, but I'm most interested in the lighthouse. More specifically, I'm interested in luring a few undead to the top, grabbing my nicest monkey wrench, and testing out a few personal theories on zombification, swing velocity, and gravity. Both "The Following" and Dying Light: The Following - Enhanced Edition will hit Xbox One, PlayStation 4, and PC on February 9th in North America. You'd better start lacing up those running shoes and, I dunno, polishing your driving boots?